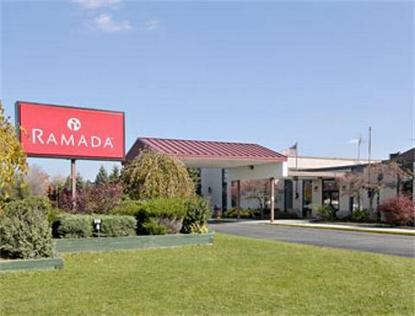 Ramada Oriskany - Rome Area is located just off Interstate 90-NYS Thruway at Exit 32 Westmoreland. This Oriskany hotel is nestled between Rome, NY and Utica, NY, and minutes from Verona, NY. The Ramada Oriskany - Rome Area hotel is a great resting spot if you are visiting area colleges such as Hamilton College or Utica College, Oriskany area companies, or any of the Oneidas historic sites. Area attractions convenient to our Oriskany, NY hotel include the Stanley Performing Arts Center, National Distance Running Hall of Fame, Fountain Elms, Munson Williams Proctor Institute Museum, Saranac Brewery, Stanley Performing Arts Center, and Turning Stone Casino. We look forward to meeting you the next time you visit Central New York. The Ramada Oriskany - Rome Area hotel offers a full service restaurant, state of the art exercise facility, on-site self-service laundry, outdoor pool with sun deck, and free high-speed internet access throughout the hotel.